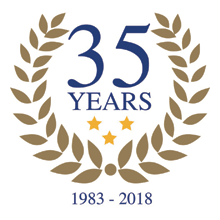 2018 marks the 35th year that Martin Doyle has been producing simple system wooden flutes (aka Irish flutes) – 35 years of focus and effort that have bought great joy to musicians of all ages and grades throughout the world and a great deal of satisfaction for Martin himself no doubt. For Martin and the small team of people who assist him, it is always encouraging to get positive feedback from the people who purchase his flutes. Martin has recently received three very kind comments from grateful customers and we at Martin Doyle Flutes would like to share them with you. Here the flute is in my hands since Wednesday. It is a lovely object. It’s already making me very happy: feels quite different to the other timber flutes I tried (4-piece flutes) and I find it more lively and easier to play with my limited skills! My flute teacher was impressed by the bright tone and the perfect tuning. Very happy with my purchase. Thank you and talk again about the leather case sometime. Just want to say that I love the flute you have made for me. I’ve been playing it a lot and the desire to play now is infinitely greater. I don’t think I have ever been attached to an instrument so much. Here’s a video clip featuring Seamus Hernon performing at the Bath Folk Festival in 2011. 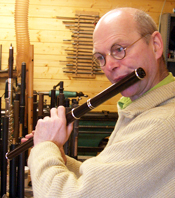 This entry was posted in Irish Flutes, Martin Doyle Flutes, Musicians, Testimonials and tagged comments, customers, kind on 3rd August 2018 by Admin.